A late summer early evening, the sun sinking into St Vincent’s Gulf, its rays washing over everyone and everything with liquid gold, the carefree chatter of friends around you, the thrum of acoustic guitars and melodic voices. 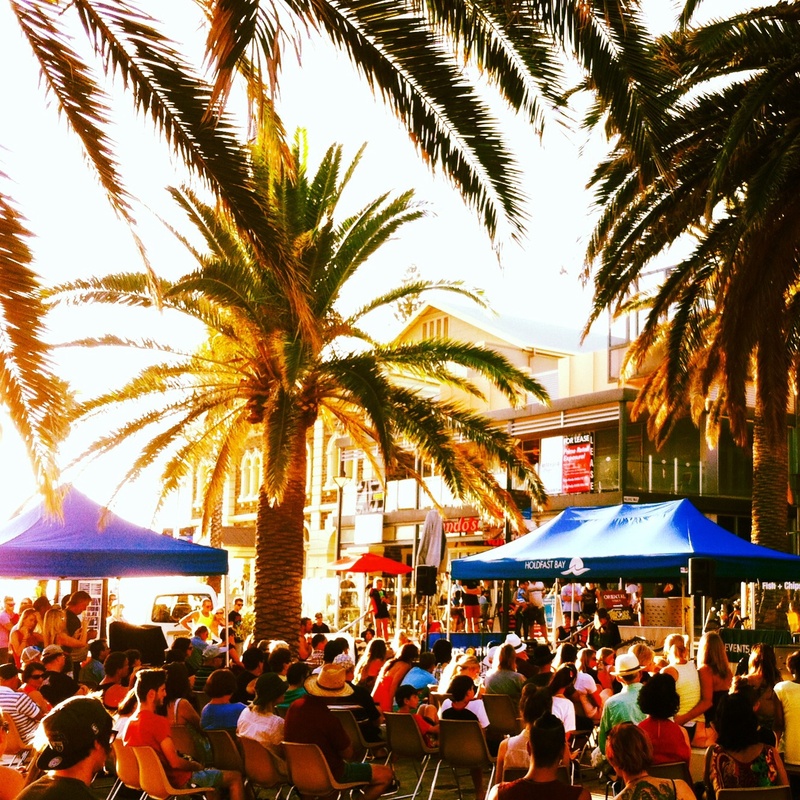 Sometimes it’s possible to believe that Moseley Square in Glenelg is the most beautiful location on earth. Especially today when Open Mic Glenelg (OMG) is on. 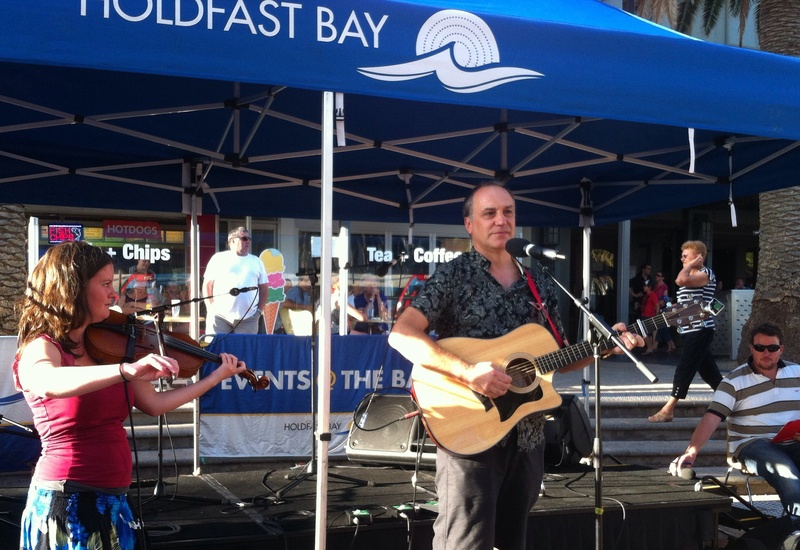 Hosted by local media celeb, Cosi from South Aussie with Cosi, OMG is Glenelg’s open air talent contest, attracting both novice (I believe the youngest contestants were nine years old) and more experienced performers (that would be me! ): mainly musicians and singers, but with the occasional stand-up comic, novelty act or magic show. I chose to play “Bound to be free”, a sea shanty I wrote after being inspired by Proclamation Day about the founding of South Australia. I invited my friend Sarah to accompany me on violin, and she ended up winning the heat, with my other friend Simon Peter. The ultimate winner of the final, young singer-songwriter Caitlin Gardner, has the opportunity to perform at Glenelg’s New Year’s Eve celebrations. More news and pictures on the Jetty Road Facebook page. Listen to Bound to be free by Dr D.